Nothing beat freshly baked cookies, believe me. It made the whole house smells wonderful too (butter and sugar awesomeness!). So if you ever passing by my neck of the wood, do come over for cookie break and coffee. PS. 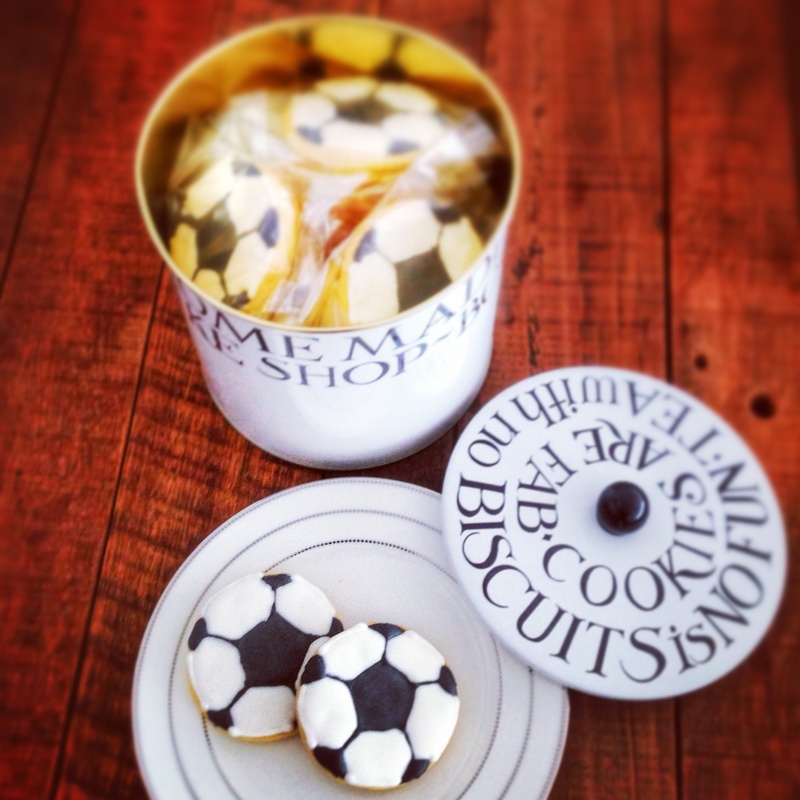 These absolut delish butter cookies in football shape is Tania’s order for her son birthday party. This entry was posted in cameraholic, Cookies, favorite, note from the baker and tagged baked from scratch, butter cookies, edible art, football cookies, Gift Ideas, love, Manila, soccer mum. Bookmark the permalink. They were very yummy as are all of the things that come out of Esti’s kitchen!